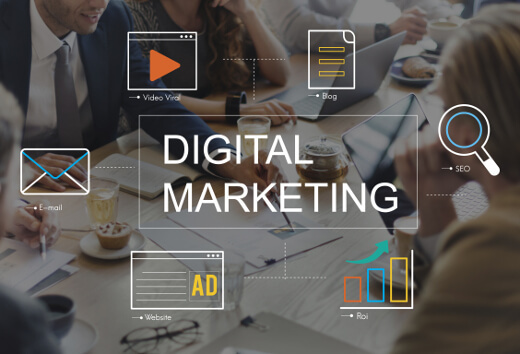 We provide digital, internet and online marketing to give you a strong online presence and bring customers to your door. We are based in Taumarunui in the Ruapehu District and serve the local area such as Taumarunui Ohakune, Raetihi, Ongarue, Ohura, the whole of the Ruapehu area plus Te Kuiti, Turangi, Otorohanga etc. but also the whole of the North Island of New Zealand which is within easy reach of our office centrally located in Taumarunui. The terms Digital Internet and Online Marketing are very similar and it is a bit confusing to tell the difference. Online marketing is a term for everything you can do online. This helps to draw the distinction with offline marketing which includes business cards, business and car signage, radio and newspaper advertising, networking etc.and what you do online. Well, our goal is to do everything you need and want to build, grow and develop your organisation online and bring business to your door. We do this by building your presence online such as a website, Facebook or other social media, give you a strong online presence through search-engine and other strategies, Google advertising etc etc. Please do not hesitate to click on the buttons below for more information.